It excites me to see the leaves springing forth from their buds on the trees – finally. Spring has arrived! Spring reminds me that at around this time last year, UW-EC’s Center for Health Administration and Aging Services Excellence (CHAASE), bestowed upon me the honor of being their 2016 Distinguished Alumni. As President of WACH, part of my responsibility is to engage our member homes and their administrators in ensuring that our facilities are sufficiently reimbursed from the Wisconsin Medical Assistance program. Wisconsin has dropped to the worst in the country in terms of reimbursing nursing homes their costs. I am happy to report that our local Senator, Sheila Harsdorf and other Representatives support the Governor’s recommendation for a 2% increase in our nursing home reimbursement rates over the next biennial budget. Some of our residents and families have also made their feelings known about ensuring that our legislators support improved nursing home reimbursement. Thank you and please do not stop reminding our legislators about this important issue. The next budget hasn’t been approved yet. Why is this important? 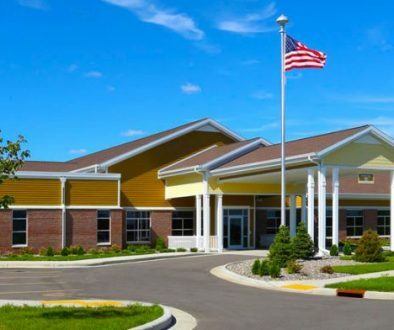 Nursing homes throughout Wisconsin are facing a work-force crisis such that some facilities are not able to admit residents due to a lack of adequate staff. Being less able to compete adequately with wages and benefits in our current economy, nursing homes are struggling to recruit and retain staff with their limited resources. So, local nursing home services with adequate staff will only come with sufficient reimbursement through the legislature. Our ability to staff The Neighbors has so far been good and the recent Consumer Information Report for Nursing Homes of 2016 shows The Neighbors has good retention rates of RNs, LPNs and CNAs compared to State-wide averages although; it is difficult to fill open positions. We have not had to turn any potential residents away due to a lack of adequate staff, but we’ve also had several recent retirements and expect more to come. Still, the care and services provided by our kind and caring staff result in Medicare.gov rating our facilities as 4 and 5-star facilities (among the Top 20% in the country). All of this is being done against a backdrop of increased regulations known as “Mega Rules,” pressure to improve financial performance, doing well on our state survey inspections of the facilities and continuing to embrace the leading edge of best practices for ensuring high quality care. Despite the challenges, I continue to remain excited and optimistic for the future of The Neighbors – mostly due to the great teamwork exhibited by our wonderful staff. Over the course of 2017, the following items are some of the issues The Neighbors will be working on: pharmacy services, physician services, marketing, financial analysis, staffing adjustments, fundraising, a market feasibility study and development of a new, Memorial Garden on the west end of our campus to begin this summer. More information will be forthcoming on our Memorial Garden for which you, a family member or friend can either memorialize a loved-one who has resided at The Neighbors or even memorialize your own gift/donation to The Neighbors. I hope our planting season is a good one and that our summer is enjoyable, safe and warm. Let us not forget our Mothers (May 14th), 125th Anniversary (May 17th), our Armed Forces (May 20th) or those who have gone before us this upcoming Memorial Day Holiday (May 29th). Please know that you can call on me with any questions or concerns at 715-231-4564. Whether your stay is short-term or long-term we’re confident you’ll like being among The Neighbors of Dunn County. Website Design and Development by The BLU Group - Advertising & Marketing.